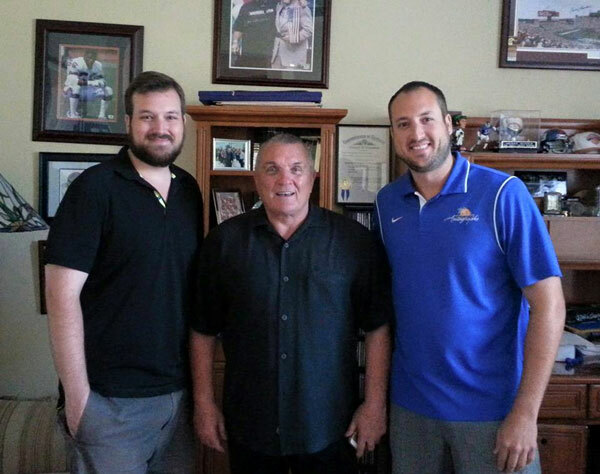 Brothers Jim, Steve & Dan Dodson began their careers as teenage reporters interviewing thousands of athletes for their monthly newspaper column published by The Palm Beach Post. 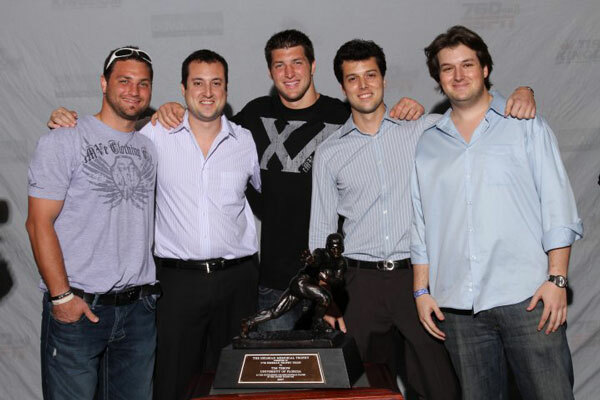 They were the youngest fully credentialed sports reporters in the country. 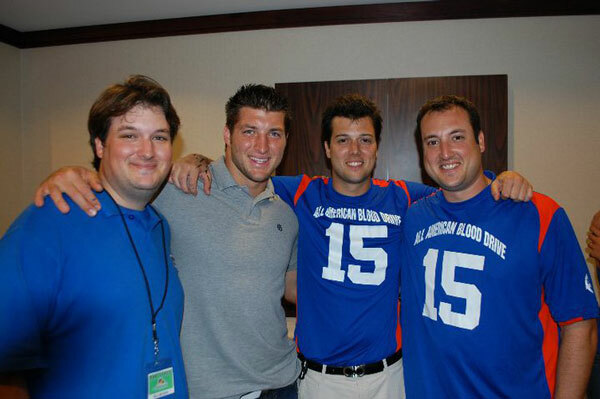 Their best-selling celebrity advice book, Kids’ Little Instruction Book, was published in 1996. 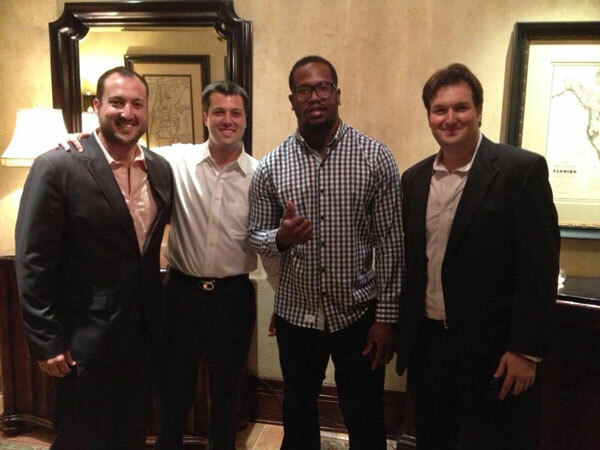 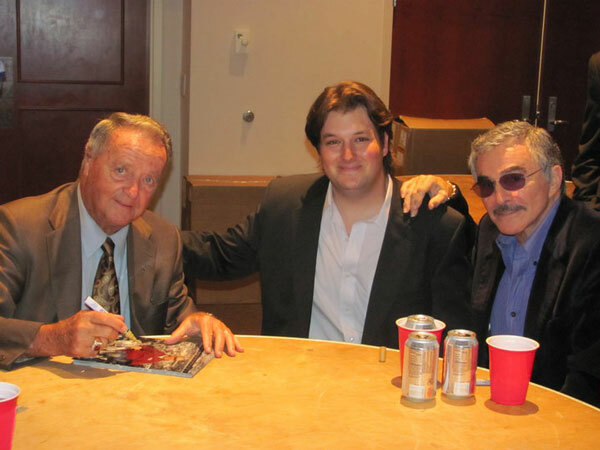 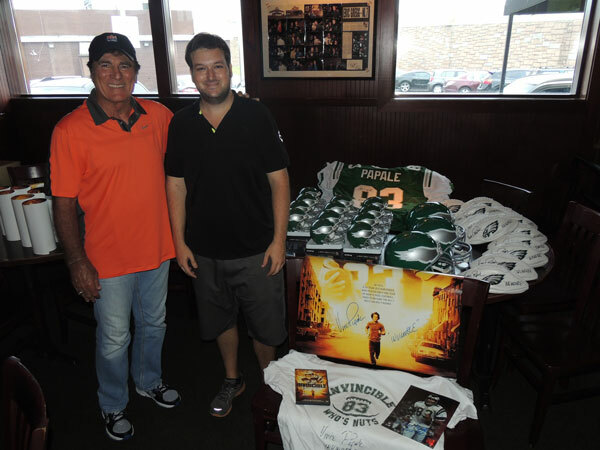 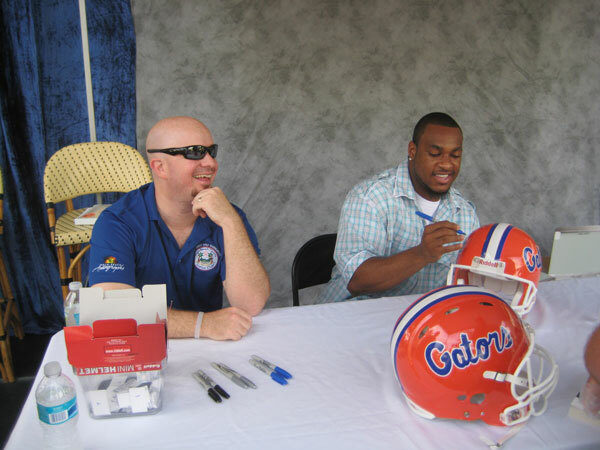 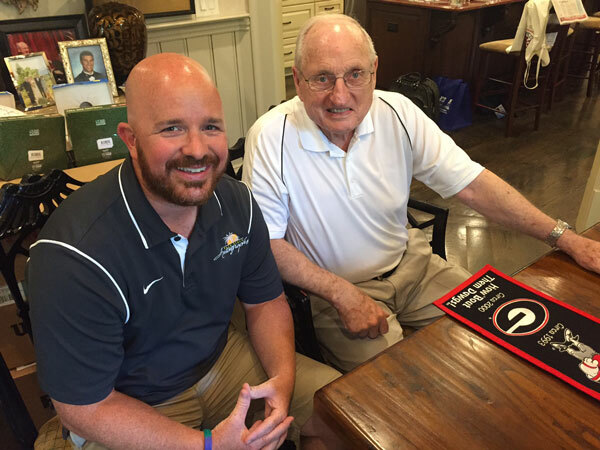 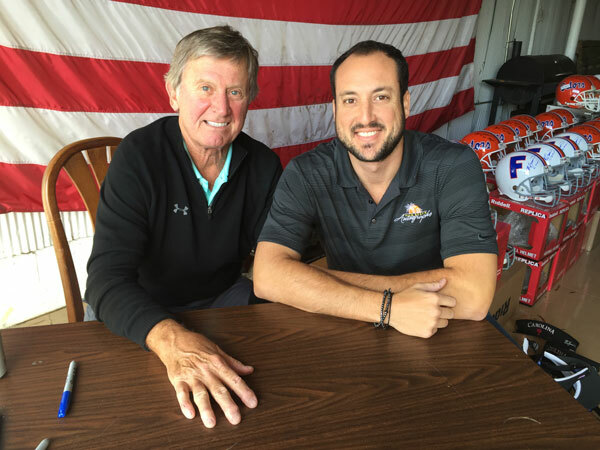 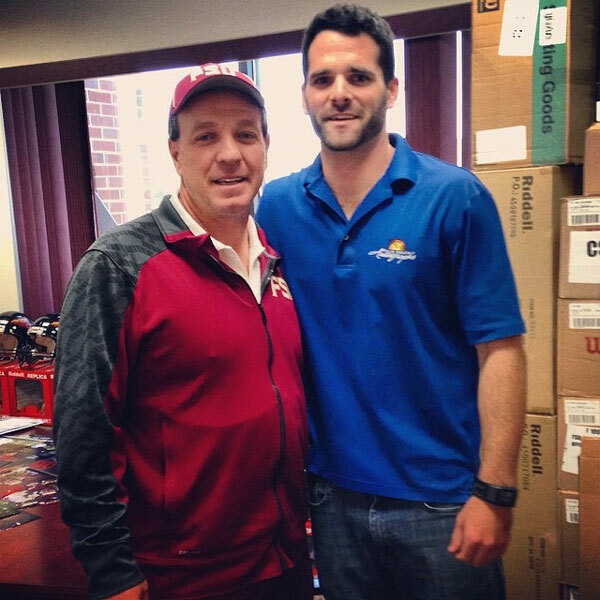 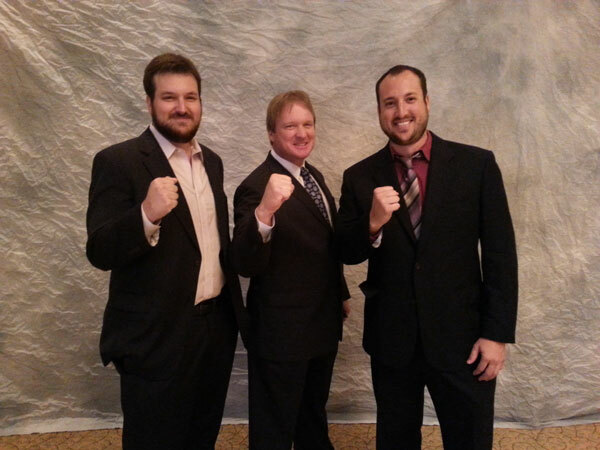 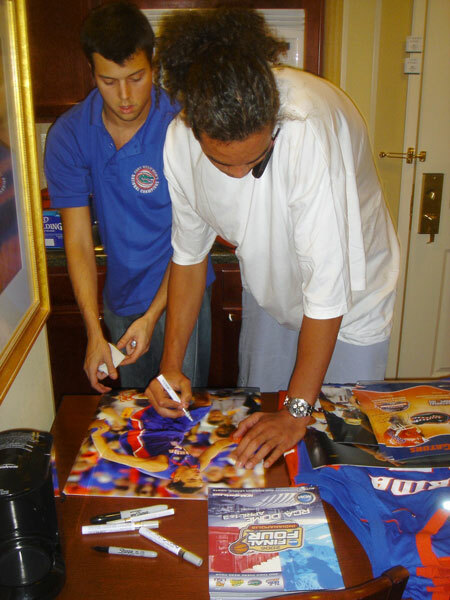 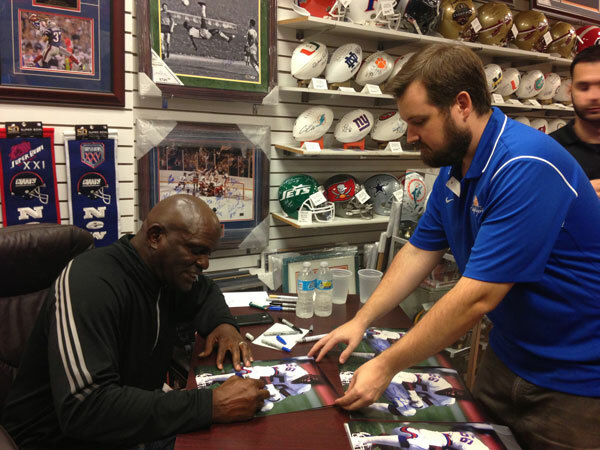 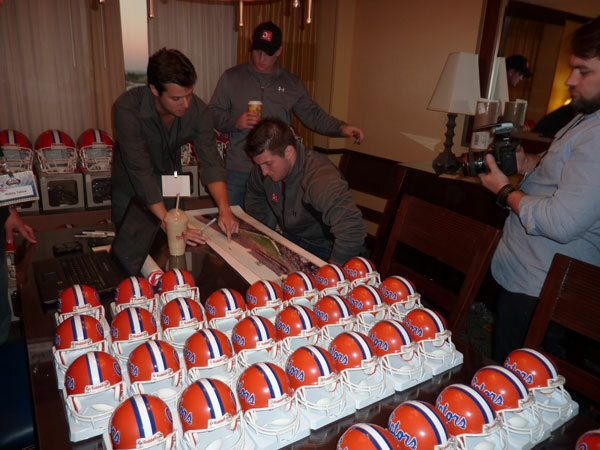 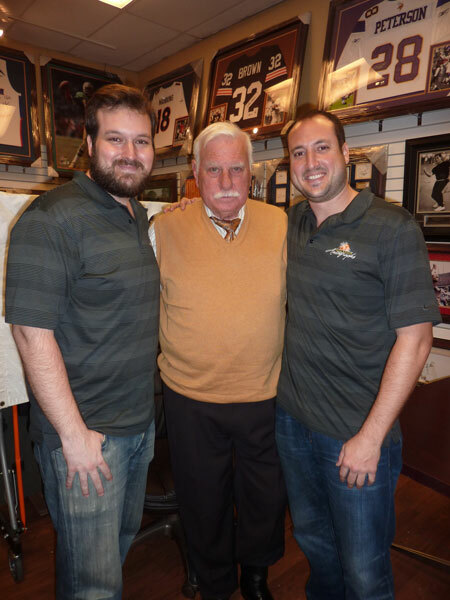 Palm Beach Autographs was founded in 1999 by Jim and Steve while attending the University of Florida. 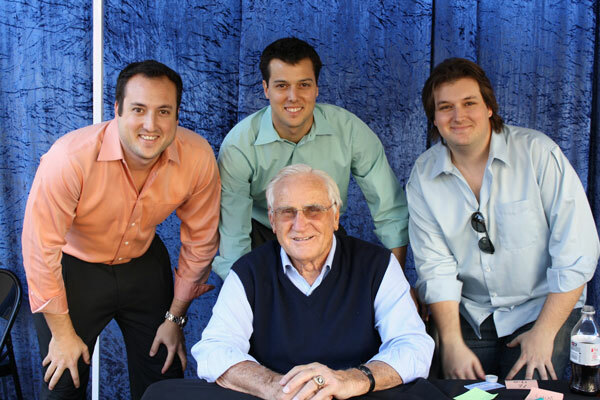 Their younger brother Dan joined the company shortly after its creation. 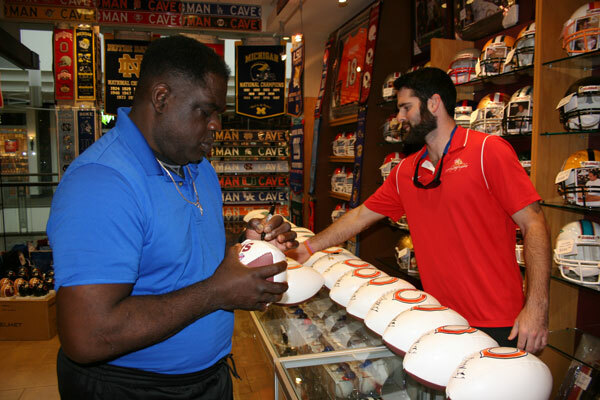 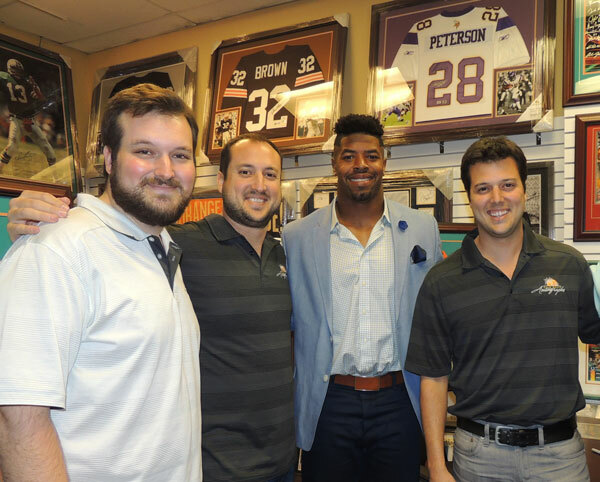 Originally established as a sports autograph wholesaler, Palm Beach Autographs expanded to open retail stores throughout South Florida. 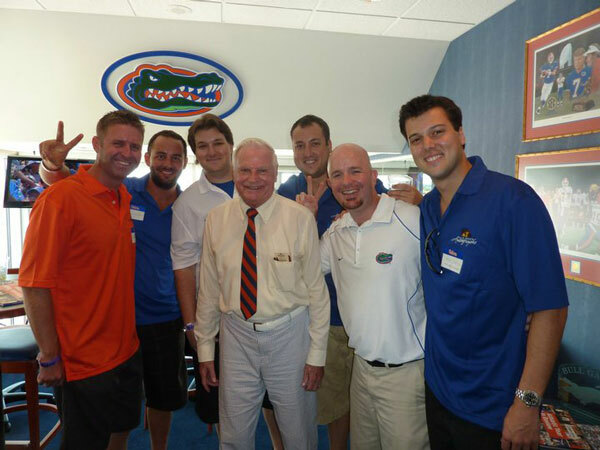 When operations grew into North Florida, long-time family friend Martin Buckley was the perfect addition to the team. 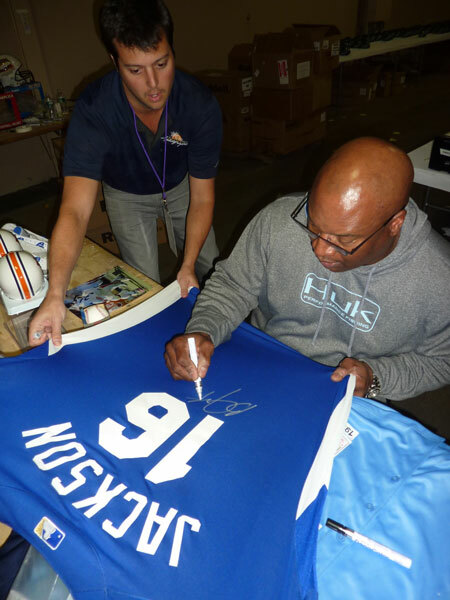 Today, our divisions include not only sports memorabilia, but also charity fundraising, interior sports design, athlete appearances, and a thriving online business. 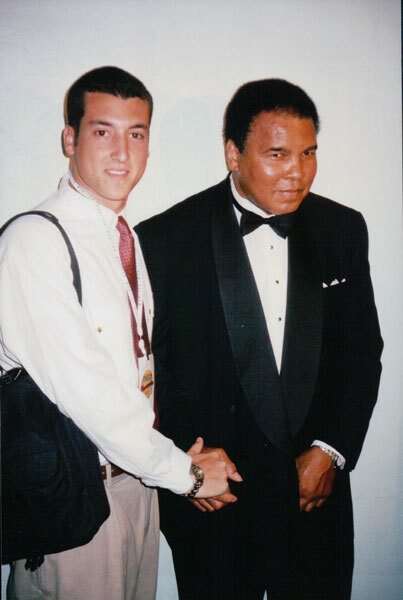 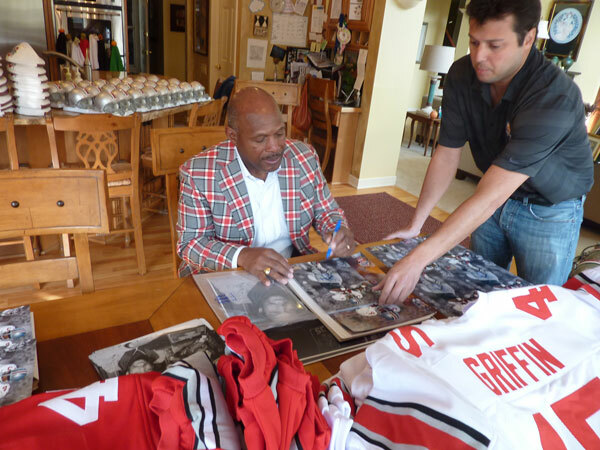 Our mission has always been to provide sports fans with high quality authentic memorabilia and once-in-a-lifetime experiences. 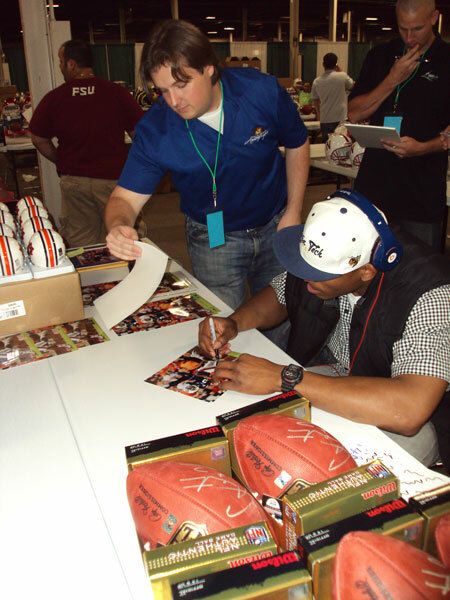 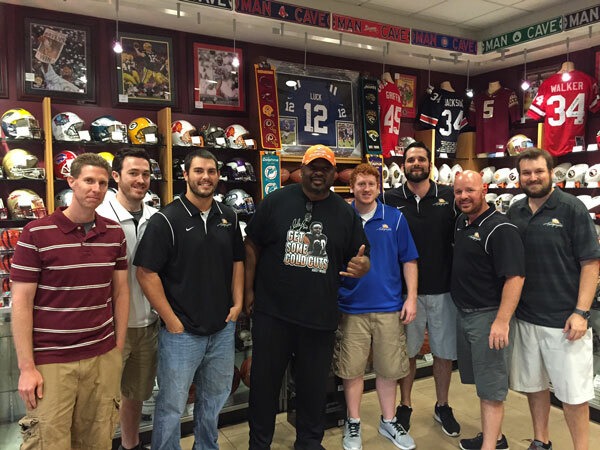 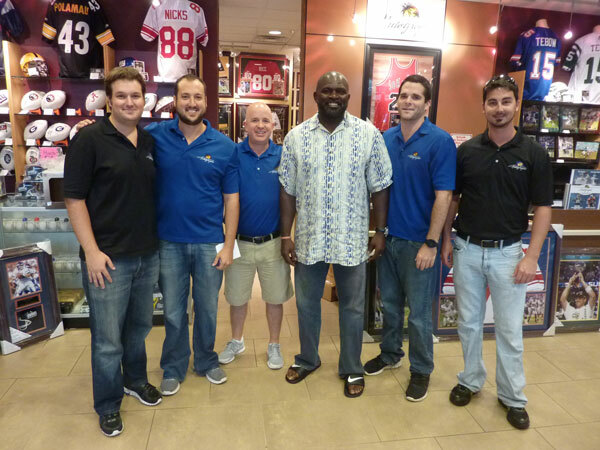 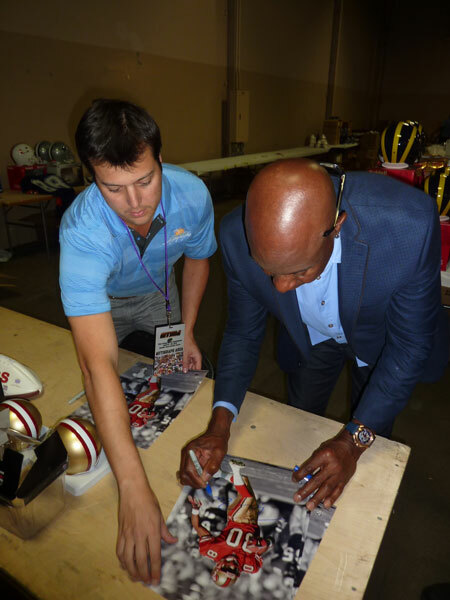 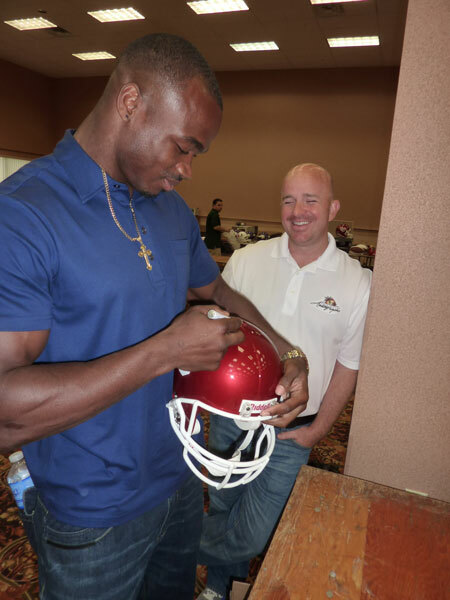 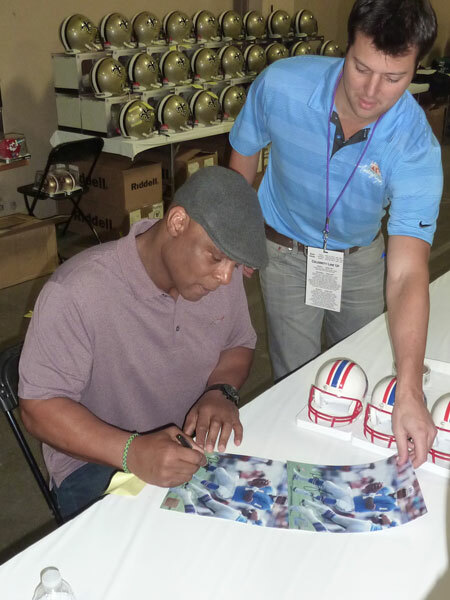 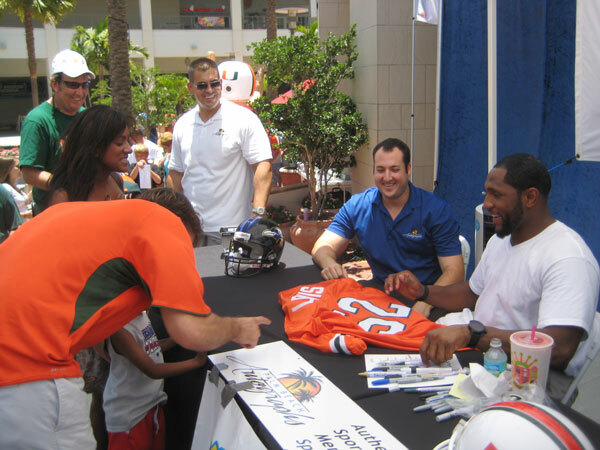 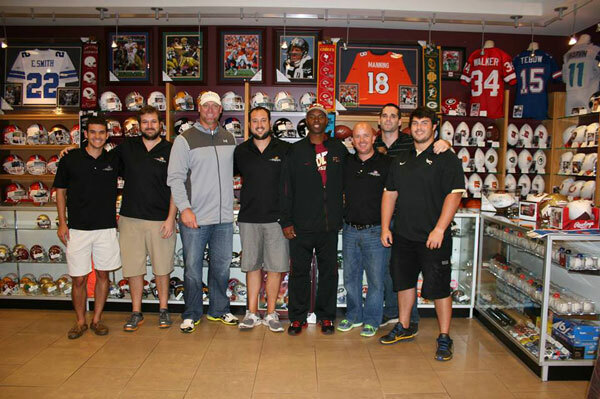 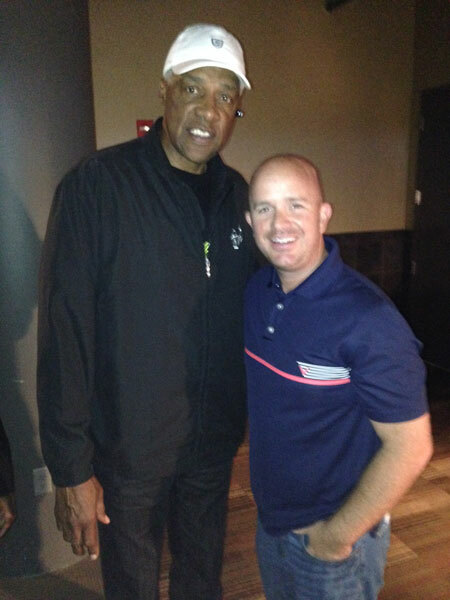 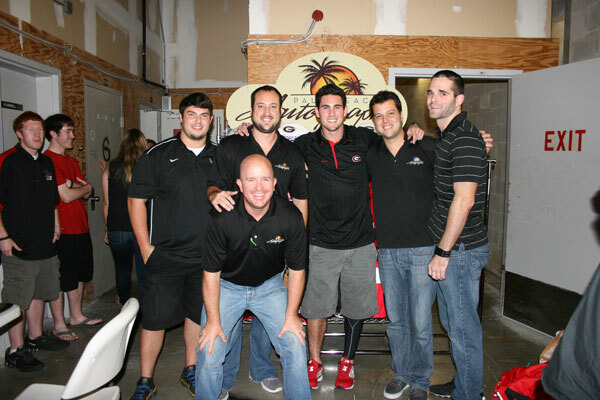 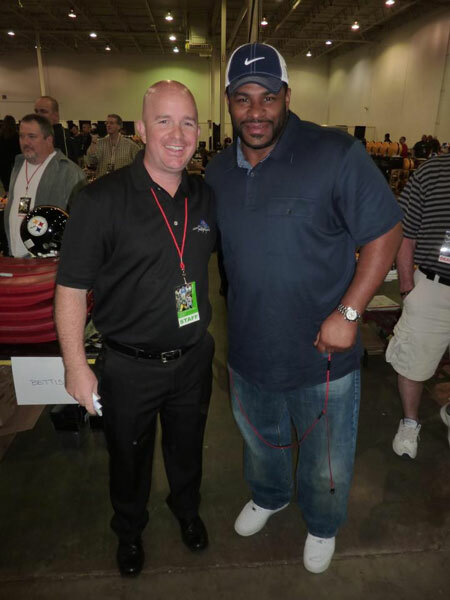 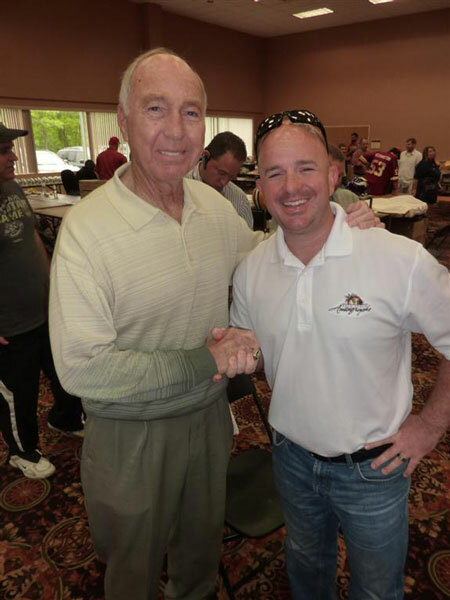 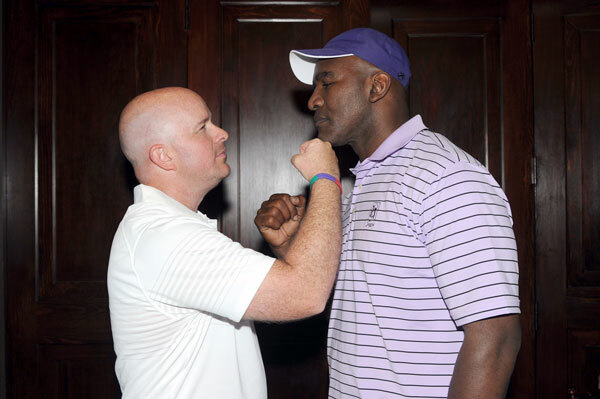 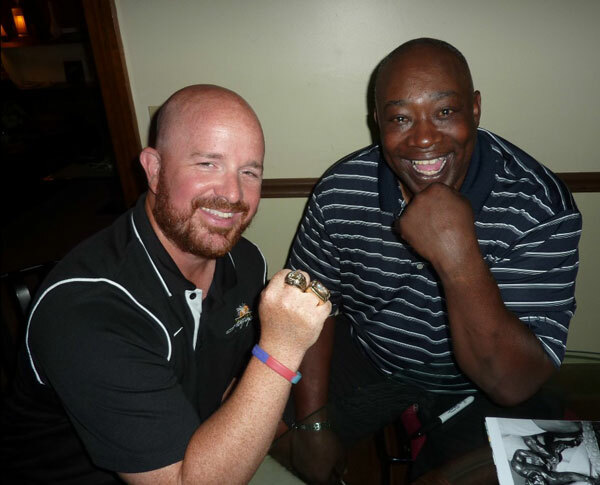 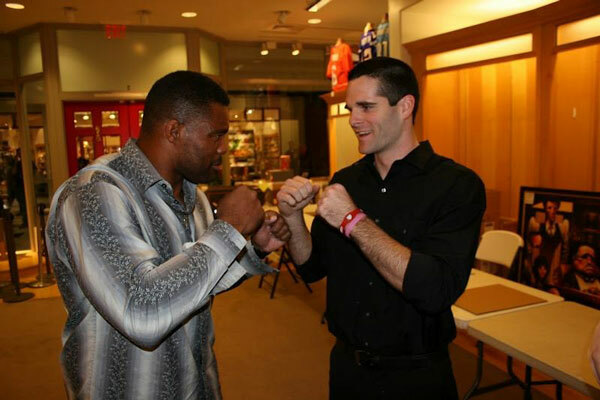 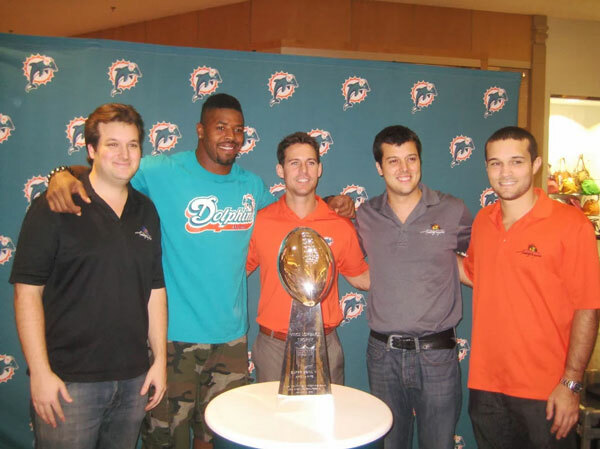 Annually, we participate in more than 100 private autograph signings with current and former professional athletes. 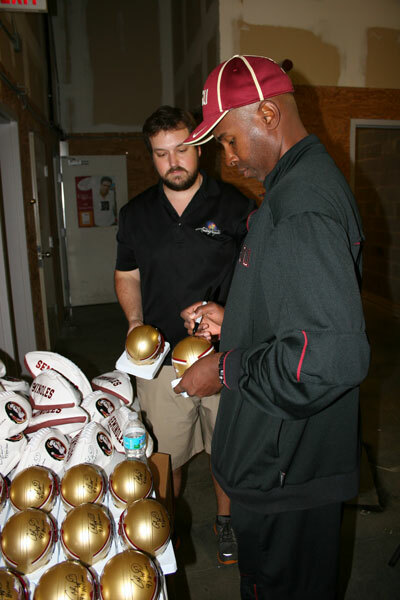 Our close relationships with agents and athletes enable us to provide our customers with authentic merchandise direct from the source. 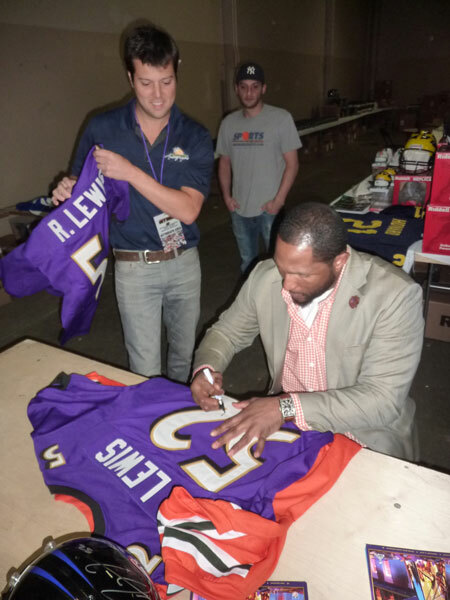 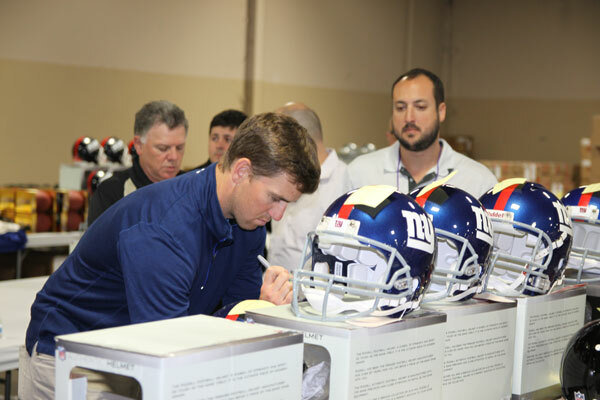 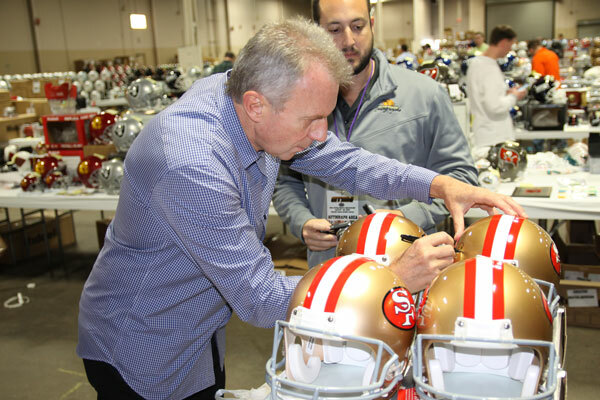 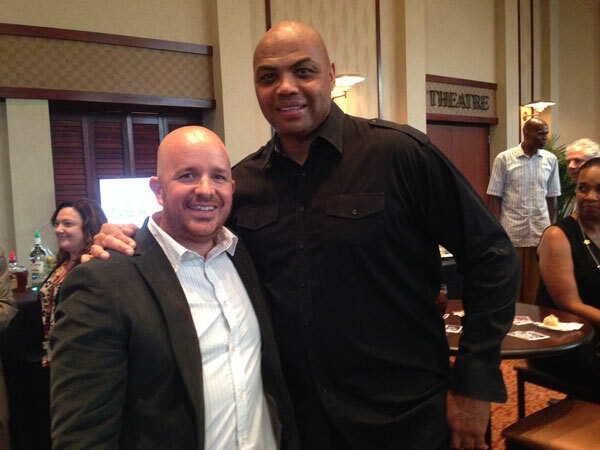 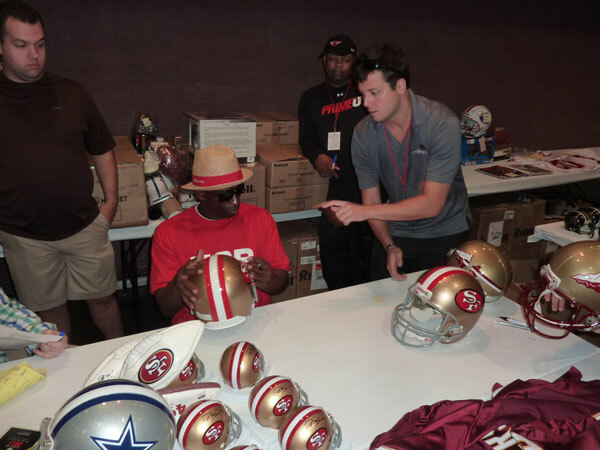 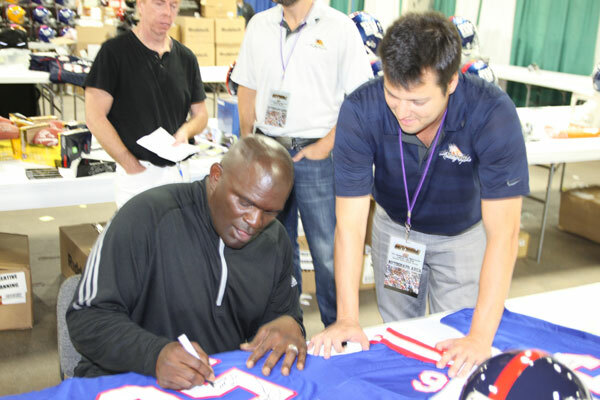 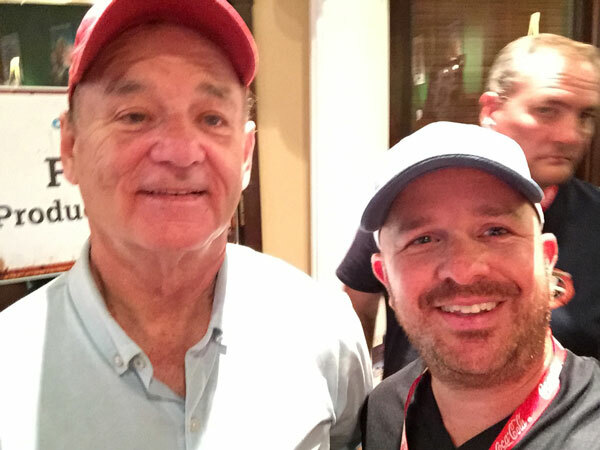 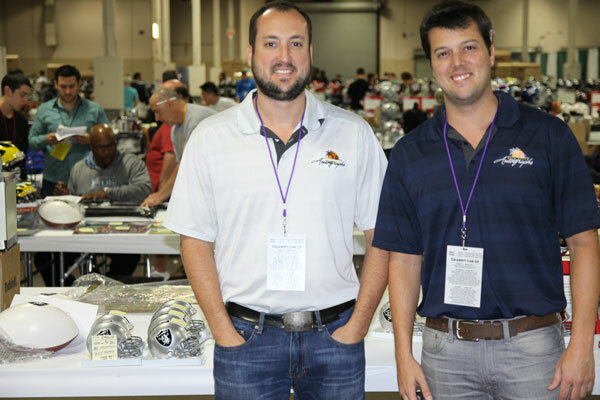 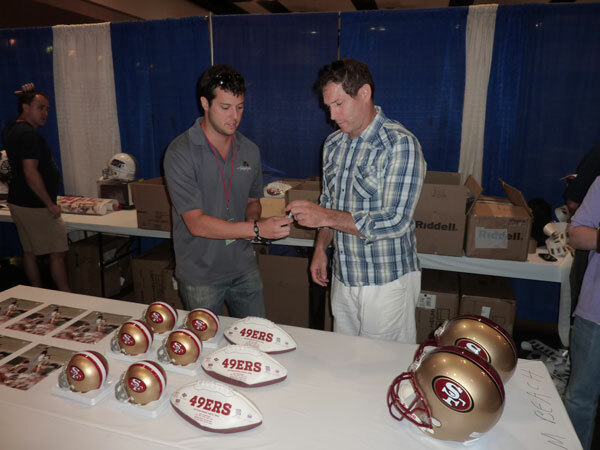 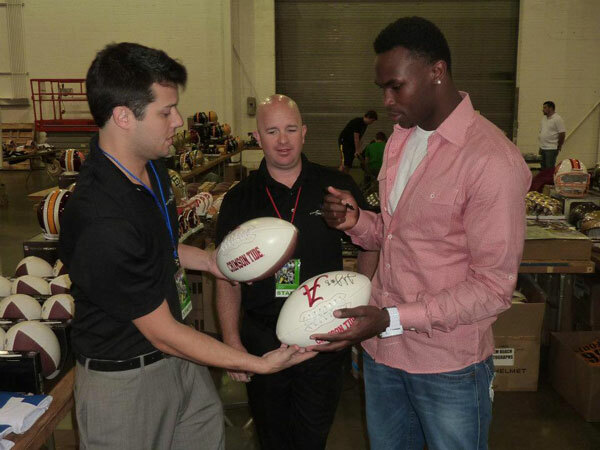 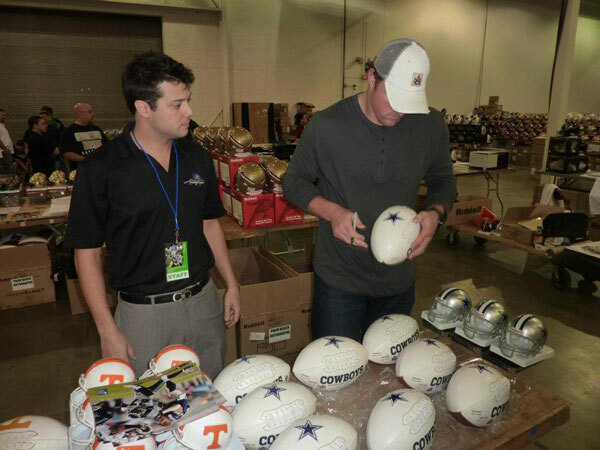 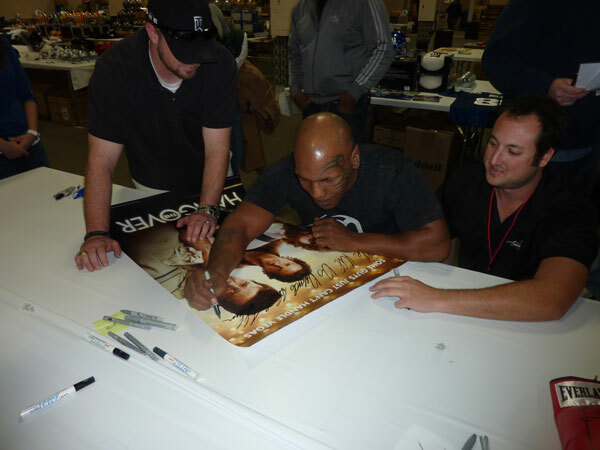 We also attend sports memorabilia conventions across the country to stay on top of the trends in the industry. 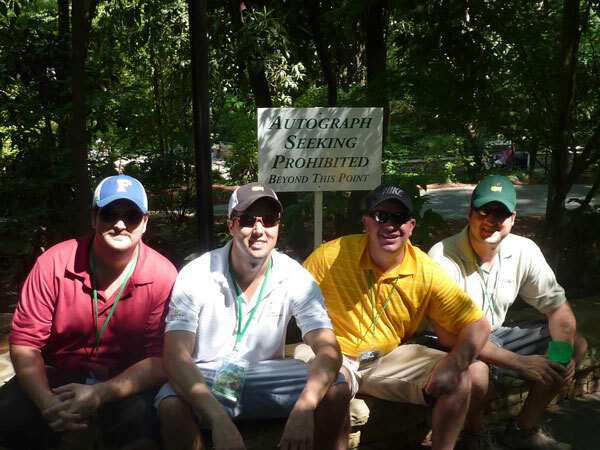 We have developed a winning team with a strong work ethic and a commitment to supporting charity fundraising. 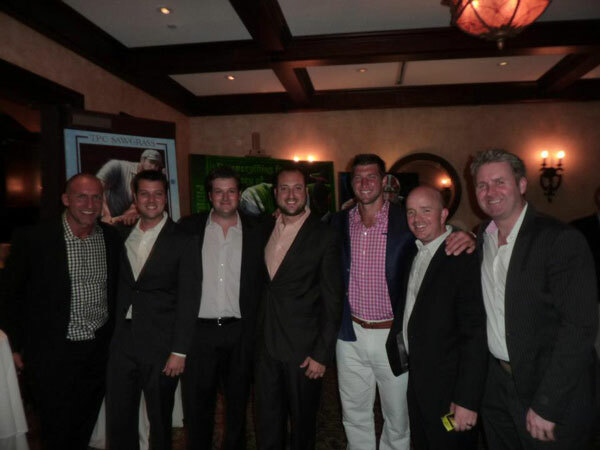 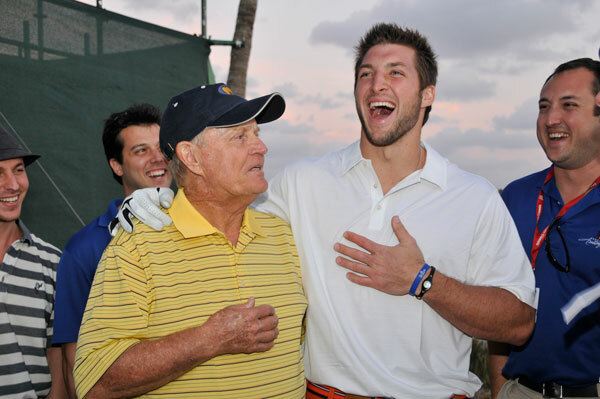 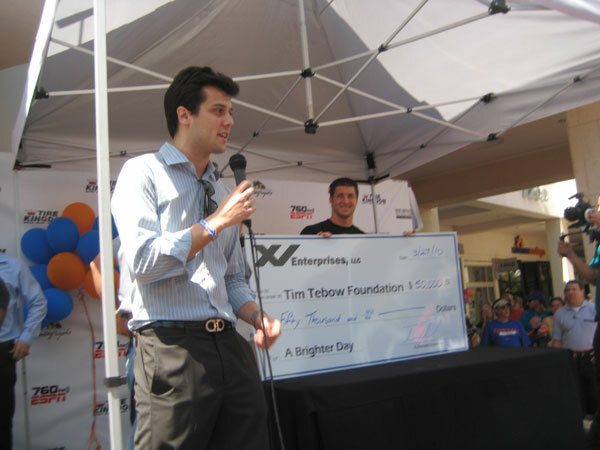 Those qualities were recognized by Tim Tebow in 2010 when he selected Palm Beach Autographs over larger companies to be his exclusive sports memorabilia distributor & fundraising partner. 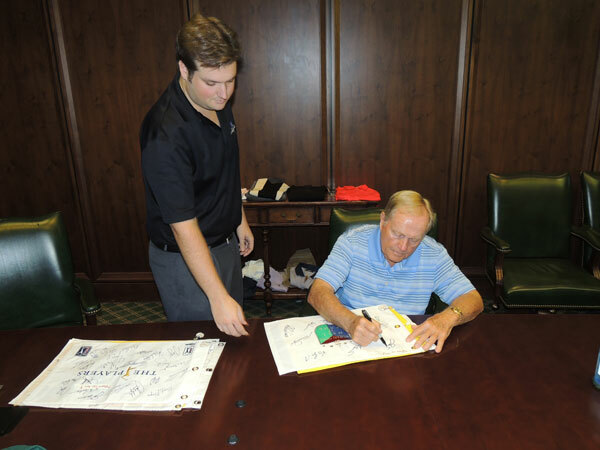 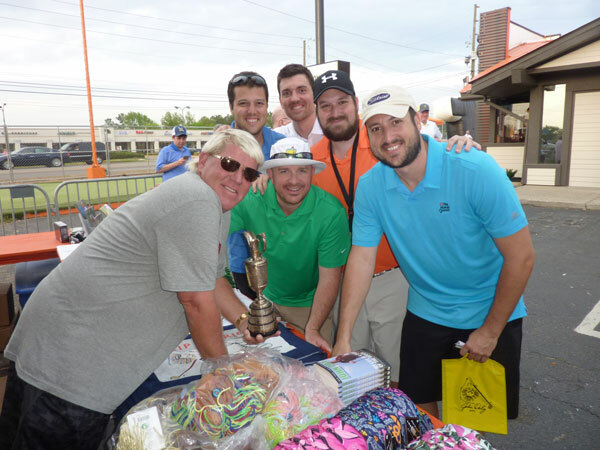 Since 2011, we have been the official memorabilia partner of the Honda Classic PGA Golf Tournament as well as an official licensee of golf legend Jack Nicklaus. 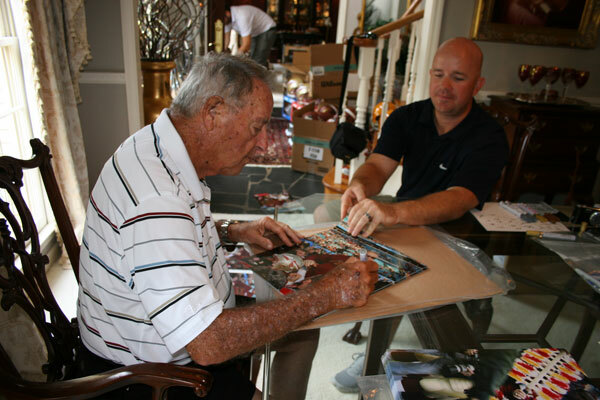 Every member of our team shares a life-long passion for collecting autographs. 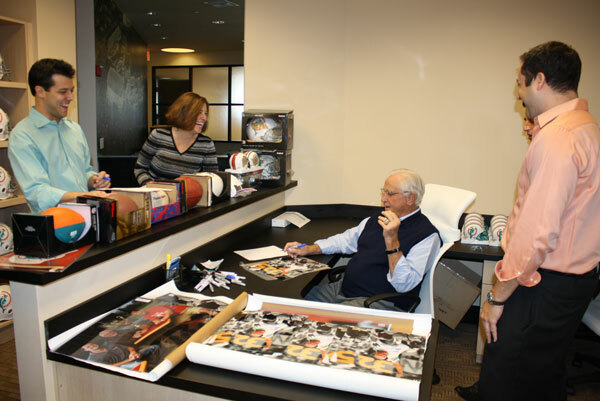 We have combined our love of sports with our creativity in designing unique products. 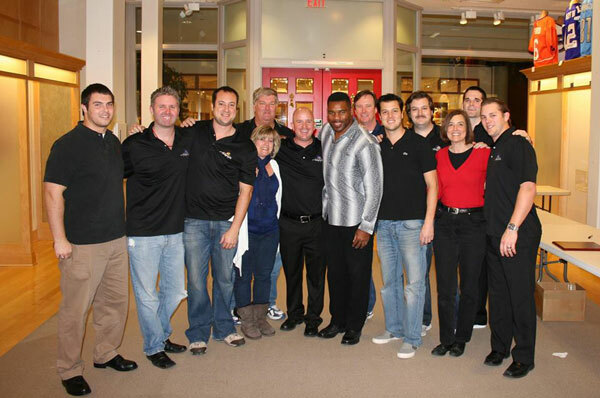 Whether it is helping someone pick out the perfect gift in one of our retail stores, coordinating a charity gala, or overseeing the decoration of a sports-themed restaurant, we pride ourselves in delivering concierge customer service. 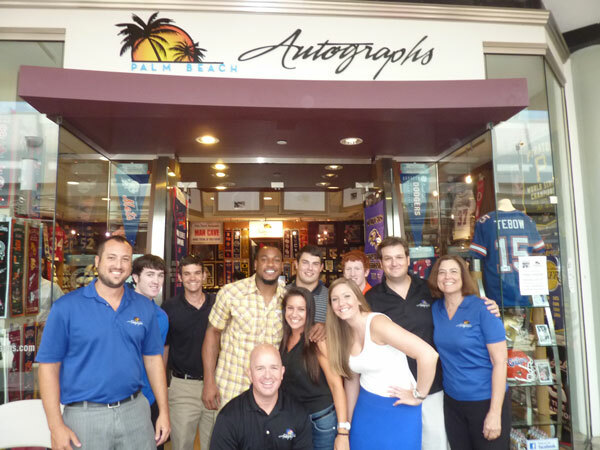 Palm Beach Autographs offers an extensive selection of the highest quality sports memorabilia including: NFL, MLB, NBA, NCAA, NHL, PGA & NASCAR. 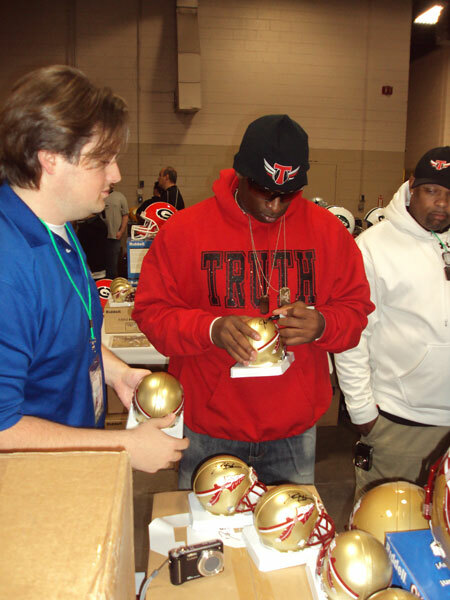 We ensure the authenticity and quality of everything we sell. 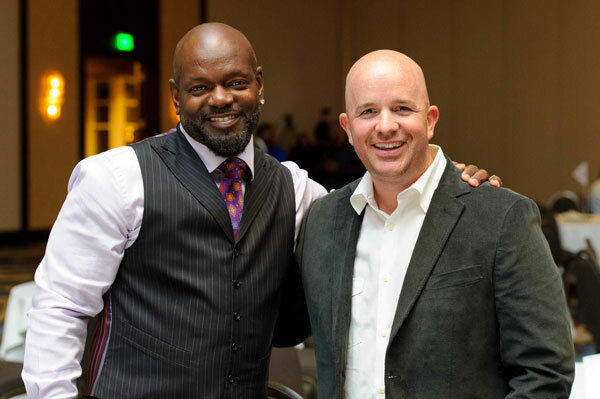 Our well-established reputation for integrity has been recognized by athletes, agents, corporate partners, the media, and most importantly, our loyal customers.